1st ed. of "A century of ambivalence". 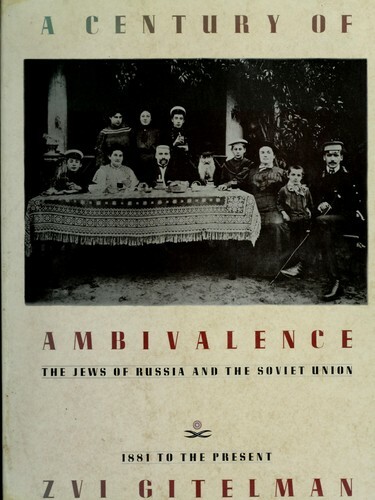 Publisher: Bibliography: p. 326-332.Photographs from the collections of the Yivo Institute for Jewish Research and private owners, exhibited at the Jewish Museum in New York in Feb. 1988.Includes indexes..
Bibliography: p. 326-332.Photographs from the collections of the Yivo Institute for Jewish Research and private owners, exhibited at the Jewish Museum in New York in Feb. 1988.Includes indexes. The Get Book Club service executes searching for the e-book "A century of ambivalence" to provide you with the opportunity to download it for free. Click the appropriate button to start searching the book to get it in the format you are interested in.